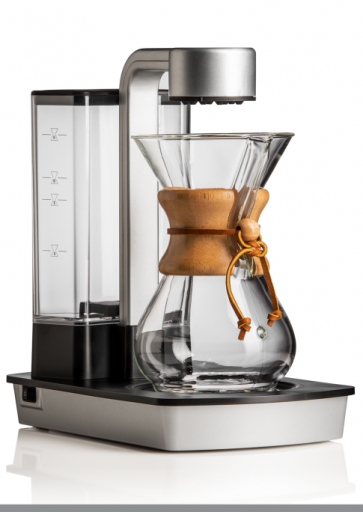 Worry-free pour overs are back with the new Chemex Ottomatic 2.0! A bevy of improvements from the original Ottomatic include a 30-minute hot plate that keeps coffee warm without overheating your brew and a new 2-stage switch that allows you to brew without the hot plate for iced coffee. The Ottomatic 2.0 still sports all of its original features—built-in bloom stage, ideal 200° brew temp, and included classic Chemex—all in a modern plinth designed here in the USA. Automatic Bloom - The Ottomatic 2.0 pre-infuses at the beginning of its brew process, ensuring your coffee blooms for a better soak and more even extraction. Ice Brew Setting - The two-stage power switch lets you brew with or without the hot plate, opening up the Ottomatic for Japanese ice-brew style coffee. Water Temperature - Chemex has the Ottomatic calibrated to an ideal brew temperature (our's read at an even 200°) for pour over coffee. Wide Spray Head - The wide spray head is just right for evenly soaking coffee in a Chemex cone, and pulse brews to keep the coffee evenly extracted. 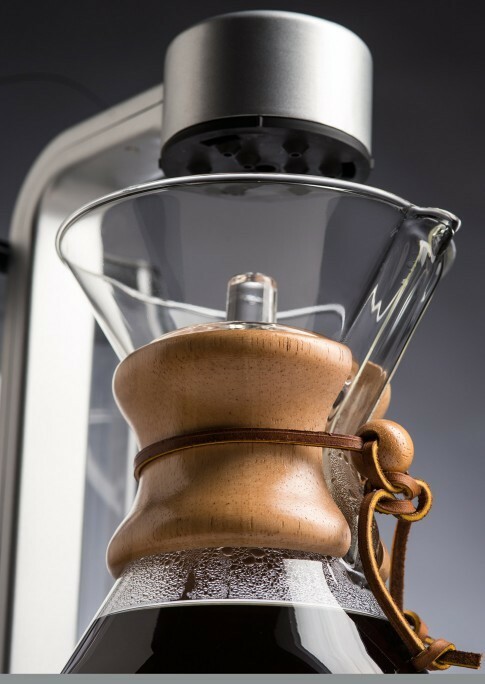 Chemex Compatibility - The Ottomatic 2.0 includes a 6-cup Chemex, but can fit up to an 8-cup model. 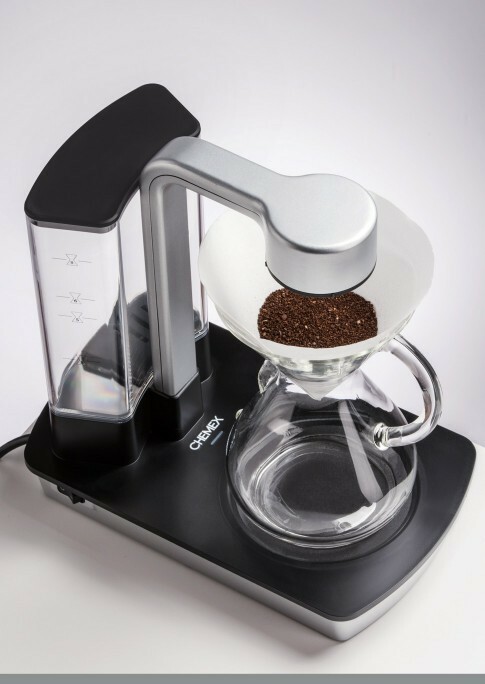 Dead Simple - We loved the simple 2-stage brew switch for its simplicity. No fiddly programming or touchscreens here. Great Coffee - Once you get your grinder dialed-in for Chemex, this brews up some seriously good coffee. Looking Good - The low-profile design emphasizes the classic Chemex shape, while offering just a touch of modern interest. Seam Line - The only ding on design we have is the highly visible seam line on the spray arm of the brewer. Expensive - You're definitely paying a premium for the pleasure of automatic brewing. Hand wash the carafe as needed with hot water and soap. Wipe down the hot plate and brew head when needed.